Recent times, when the general public hears « athletics », they immediately think of the achievements of Jamaican sprinters, like Usain Bolt, the king of the discipline. But we should not forget the homeland of track and field: the United States. The athletics new generation of American athletes bear the legacy of Carl Lewis, Jessie Owens, Michael Johnson, or Maurice Greene. 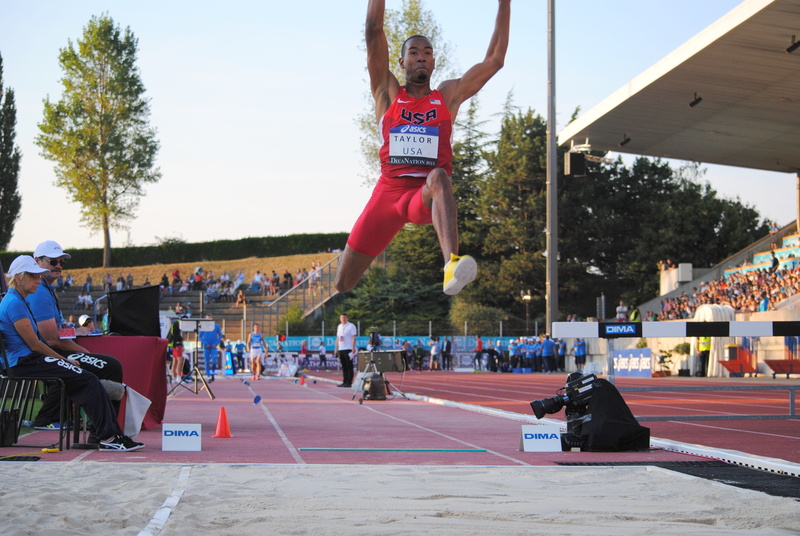 Among the heirs of those legends, there is a young prodigy of triple jump named Christian Taylor. Young but already among the stars. At 23, the Fayetteville born athlete has a track record to make many people green with envy, as impressive as his biceps. 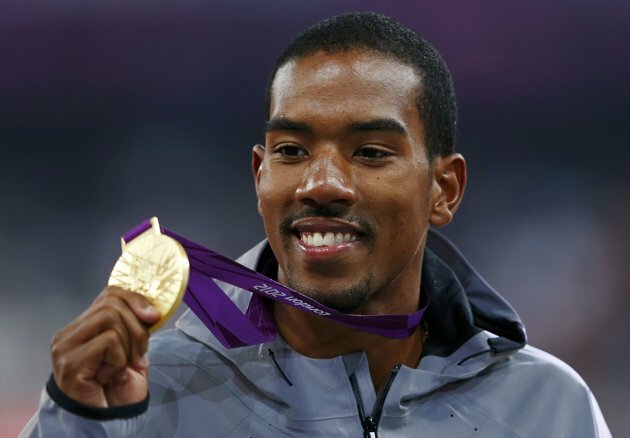 He realized the ultimate dream, the Olympic title at the London Games in 2012. He also climbed onto the roof of the world, with a world champion title in 2011 in Daegu. And we must add one Diamond League in 2012, two national titles in 2011 and 2012, and a world title for youth in Ostrava in 2007. Needless to say more. 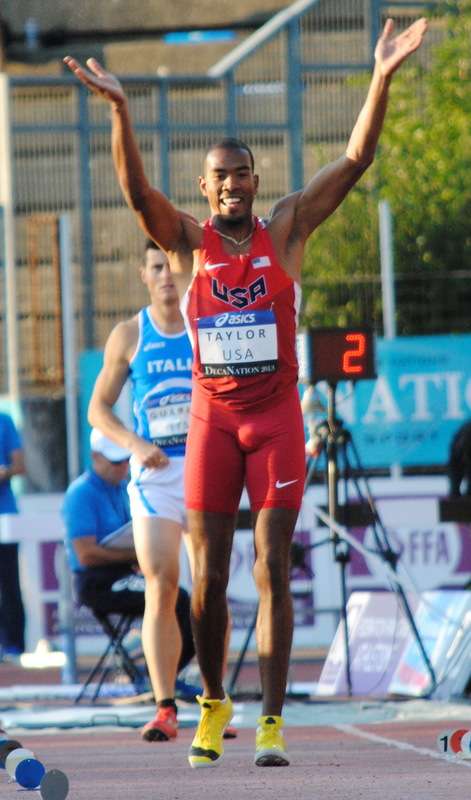 As one understand, Christian Taylor is in the footsteps of his famous predecessors. And to top it all, his kindness proves that the boy is quite a champion. Exceptional interview with the star of triple jump. -First of all, how was your passion for athletics born ? I originally got into the sport after play football (soccer). I was always very fast and thought I should also try track and field. -Why did you choose triple-jump ? The choice of doing the triple jump was just by accident. I tried long jump and had a lot of fun with this but then heard about triple jump and it presented new challenges which I enjoyed. -Which are the sportsmen who made you dream ? Some of the track and field athletes I really admired was Dwight Philips and Walter Davis. Of course Jonathan Edwards. -You’re 23, and you are already world champion and Olympic champion. Do you realize that ? Yes I am 23 and have had great success early but I plan to do bigger things in the future. I am pushing toward the American Record and then the World Record. -In Moscow, you ranked 4th. Was it a big disappointment for you ? Fourth place in Moscow was very hard to cope with but later became the best thing that has happened to me. It was a wake up call and a challenge for me to get my spot back on the top of the podium. -In France, we have our champion, Teddy Tamgho. What do you think of him? Is he better than you ? I have followed Teddy for many years and have really admired his jumping and aggressive spirit he competed with. I look forward to a growing rivalry over our career. -What do you think about the athletics French team ? I believe the French team is very strong and continue to grow. Between the pole vault, triple jump, women’s long jump and relays, the French team may be one of the top contenders in the near future. It is very exciting to watch. 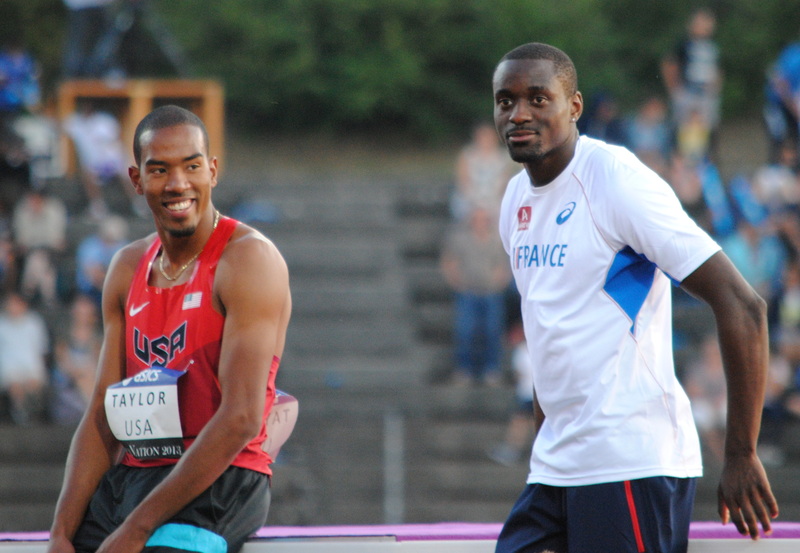 -Sometimes, in France, we criticize the arrogance of American athletes. What do you want to answer to that? I do not believe it is right to put all athletes from a certain country in one category. There will always be those that believe that they are on a different level and display that in different ways. But every country has athletes like this. Some may look at it as the athlete being very confident. I believe there is no need to be cocky or arrogant. The times or distances should speak for themselves. If you are humble and confident, I believe that is the best way to be. -In France, we sometimes report the doping case of American athletes, the Tyson Gay case recently for example. For us, you all are suspects… (laugh). Does the public in the United States trust you ? In regards to the drug testing in the US. Track and Field is not very big and is not brought up in regular news like it is in Europe. It is never good for the sport when people test positive to these test. I believe this promotes bad exposure for the sport as a whole. Not just in America. -Do you want to test another discipline before the end of your career? 400 m for example ? Yes ! 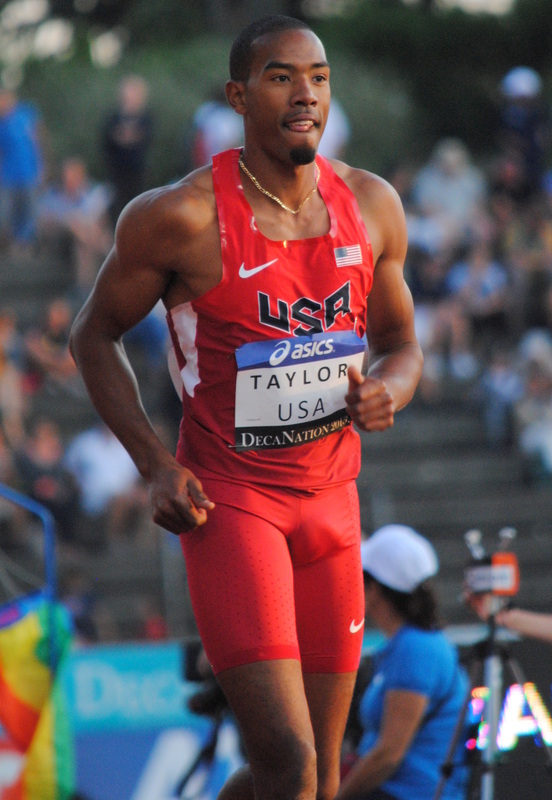 Starting this year I will run some 400m races as I believe I have some untapped talent that I would like to try out. -To finish with, which are your main objectives for the future ? When looking towards the future, my goal is to be the best athlete I can be. I want to help bring a lot of attention to the field events as a whole. We a re usually heavily overshadowed by the track part. So if I can contribute to getting more viewers to watch some field events, I believe I would have done my part for the sport.